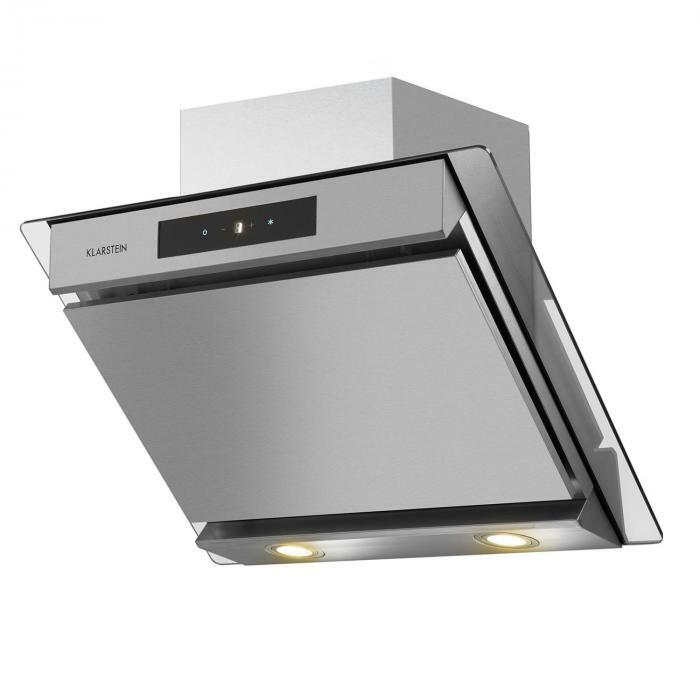 Elegant cooker extractor hood in exhaust air operation with energy efficiency class B, three output levels and up to 640 m³ / h exhaust air output. 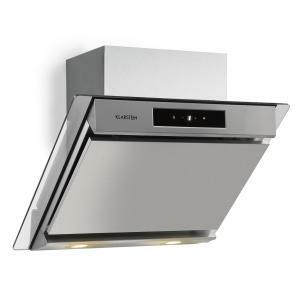 60cm-wide front with luxurious safety glass, touch control, digital display and foldable 304 stainless steel cover. 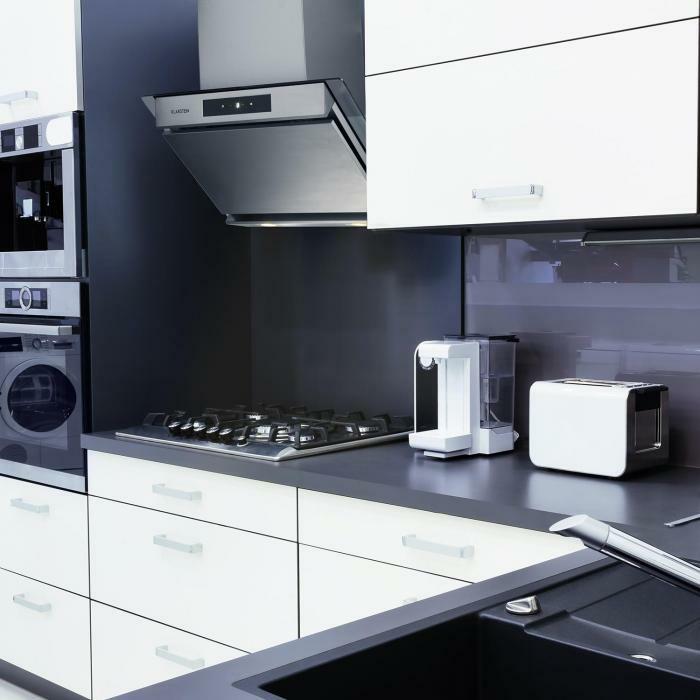 210 W engine power: ideal for small to medium-sized kitchen areas with possibility to convert to recirculation mode. 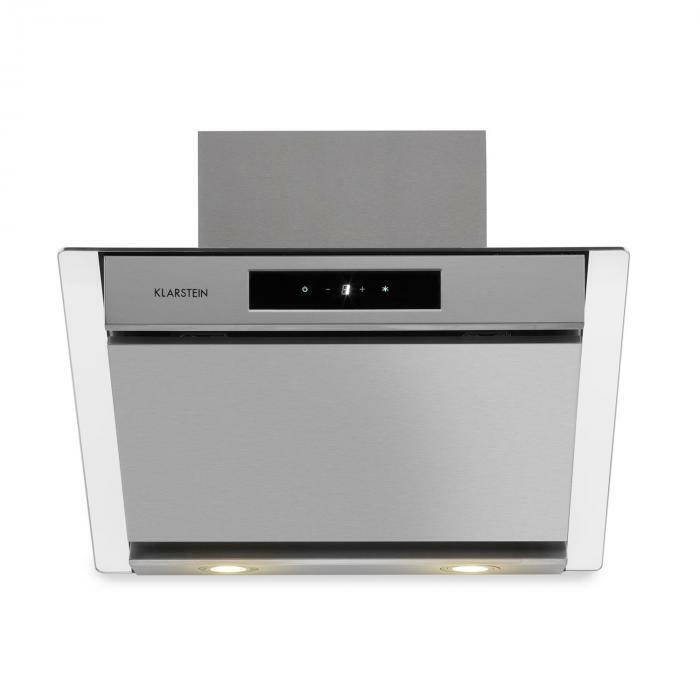 Best air in the kitchen: the Klarstein Balzac 60 cooker extractor hood brings a noble highlight to kitchens while at the same time sweeping away steam and haze during cooking. 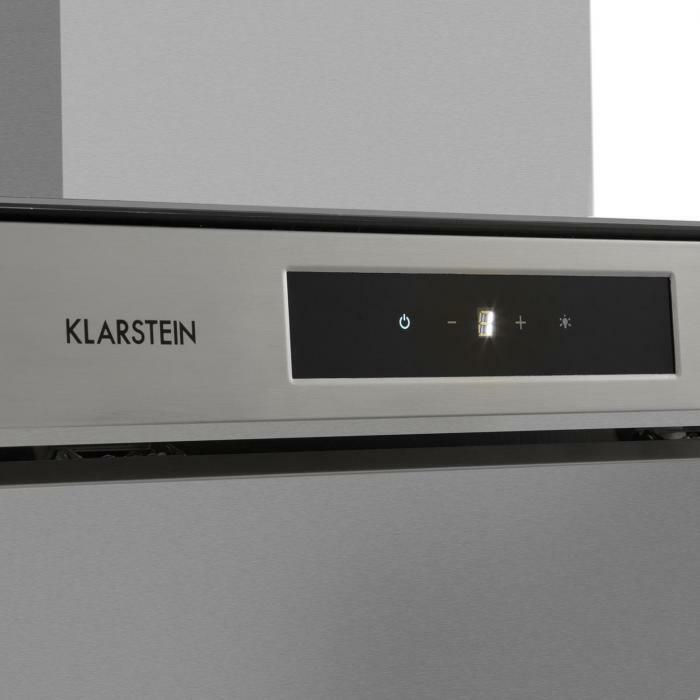 The Klarstein Balzac 60 extractor hood with 210 W motor power in the recirculation mode ensures haze-free air in small to medium-sized kitchens. 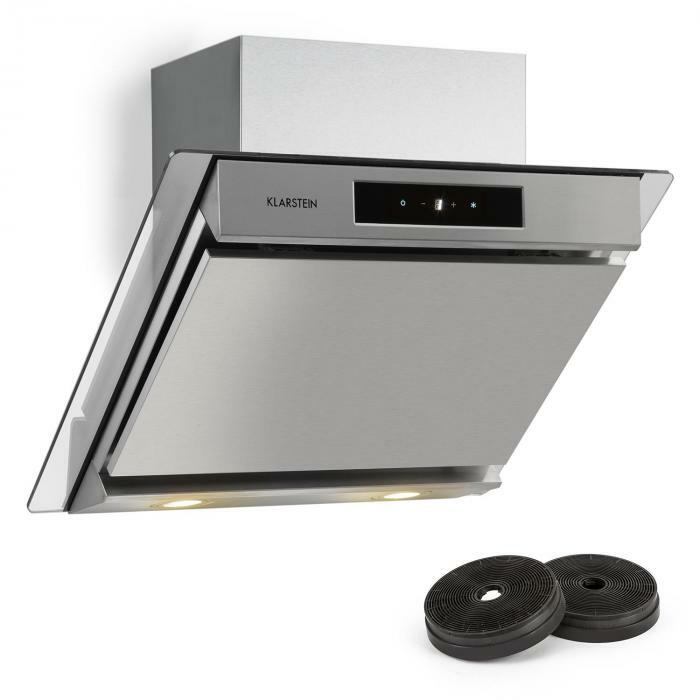 Three power levels handle up to 640 m³ of exhaust air per hour and tailor the performance of the head-free wall hood to the respective cooking volume. 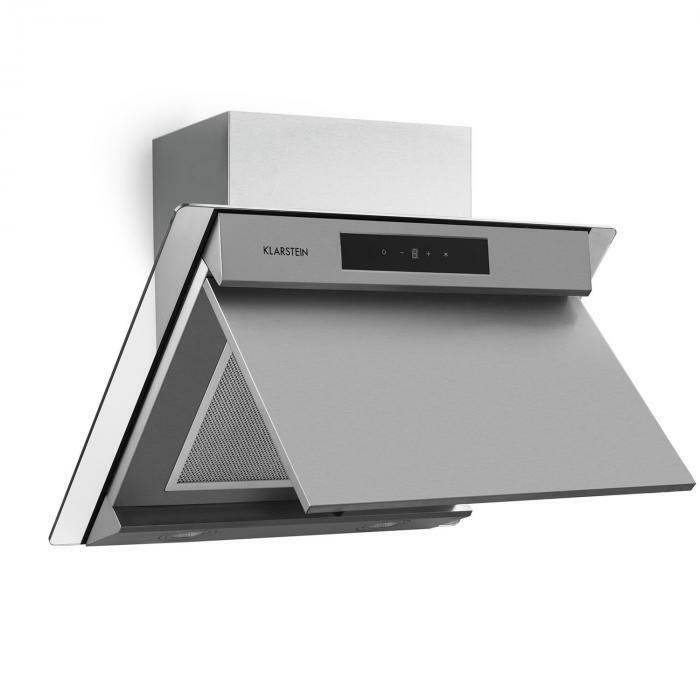 Particularly practical is the upwardly emerging construction of the 60cm-wide hood, which gives your head the necessary freedom of movement while cooking. The exhaust hood needs little space in depth. 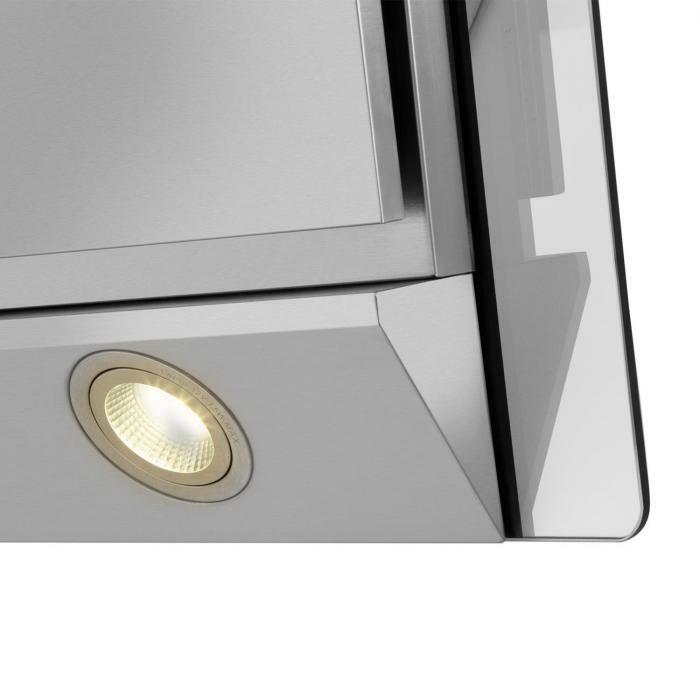 Ventilation and lighting are controlled via the front-side operating section. A quick timer easily clears the air for 5 minutes and then turns off the device. 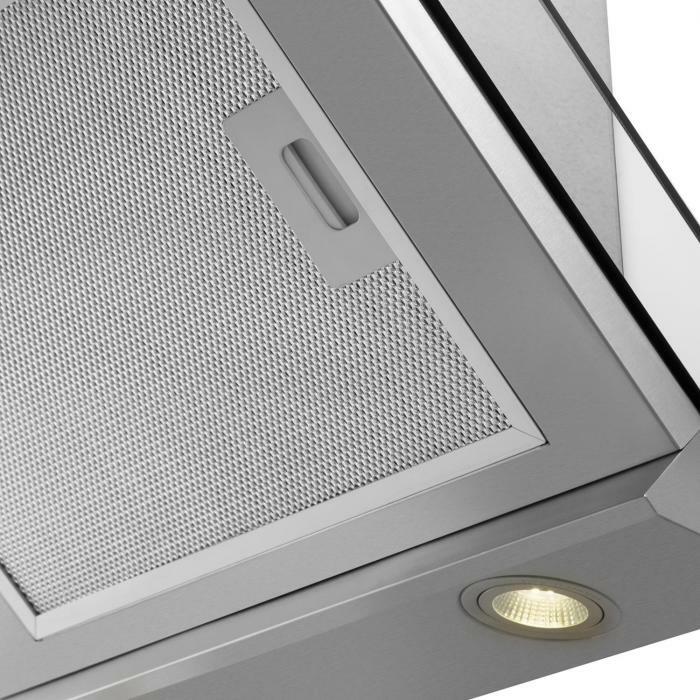 The elegant hood is controlled quite simply via a touch panel with digital display. 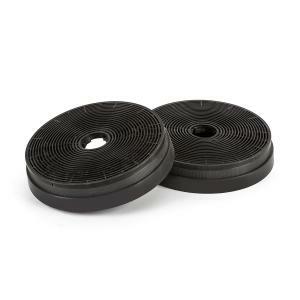 A switchable light with 2 x 1.5 W LED lamps ensures good visibility on the stove. In addition to its strong performance, the Klarstein Balzac 60 wall-mounted hood is a luxurious piece of kitchen equipment: the body out of 304 stainless steel gives it a modern look, complemented by safety glass side panels and a 2-piece flue duct. A real highlight in the kitchen.